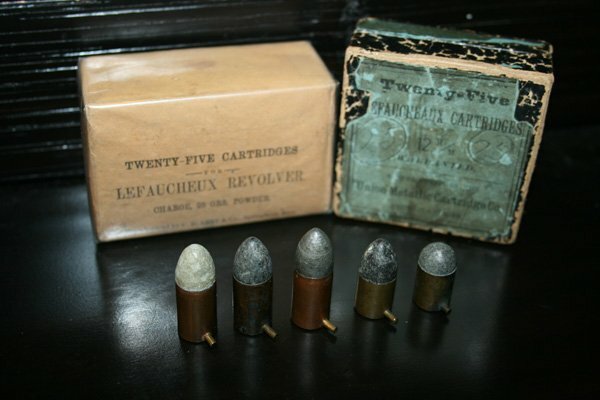 The pinfire cartridge was originally invented by the Frenchman, Casimir Lefaucheaux, in 1828 and patented in 1835. Many years of improvements, and use all over Europe made it a very popular cartridge for many years. During the US Civil War thousands of 12mm pinfire revolvers were purchased as well as millions of rounds of ammunition for them; all from foreign companies. There were also many Army purchases for American companies to make pinfire cartridges. One of these companies was C. D. Leet & Co.
C. D. Leet was the first company to deliver cartridges to the Army and there is a little bit of wonder on if their cartridge design was a coincidence that it was so similar to the style Sharps patented. 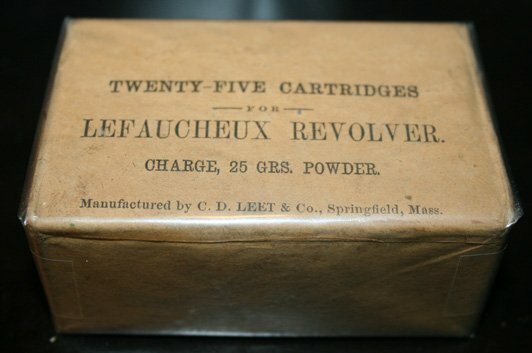 C. D. Leet started manufacturing their first batch a month and a half before Sharps patented his improvement on pinfire cartridges. 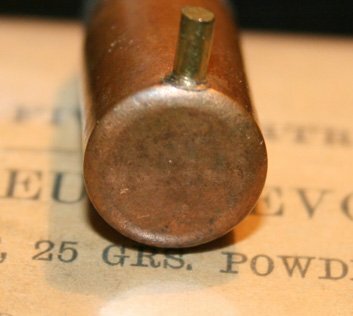 This improvement called for a lead plate to be inserted at the bottom of the cartridge while keeping the same 25g powder charge as the shorter, common variety to help strengthen the cartridge since the Army was having problems with blowout. More than likely Leet just decided to not patent his design but rather just hurry and make them to quickly profit from the Army's money before other companies followed suit. Partially sectioned C. D. Leet pinfire. A brass primer would be at the bottom of the pin. 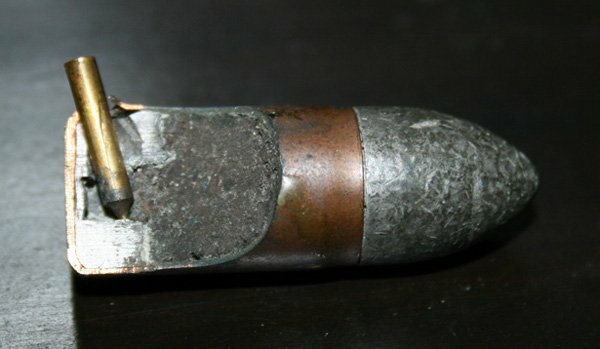 All of the Civil War era pinfire cartridges manufactured in any notable number in the United States used this case length with the lead plate in the base. 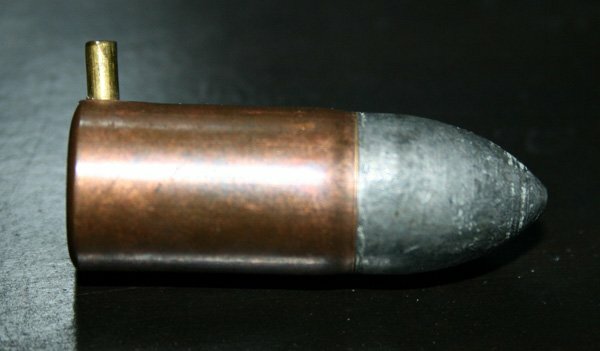 The Leet cartridges have a noticeably longer bullet that the Ethan Allen and than the Sharps cartridges. They also have a beveled base. After the Civil War Ethan Allen & Co as well as UMC made pinfire cartridges. Ethan Allen stayed with the same design they used during the war as Allen & Wheelock, whereas UMC only made the traditional short style. Thomas, Dean. Round Ball to Rimfire Part Three. Gettyburg, PA: Thomas Publications, 2003. Curtis, Chris C.. Systeme Lefaucheux: Continuing the Study of Pinfire Cartridge Arms Including Their Role in the American Civil War. 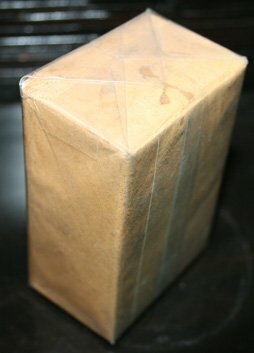 Santa Ana, CA: Armslore Press, 2002.